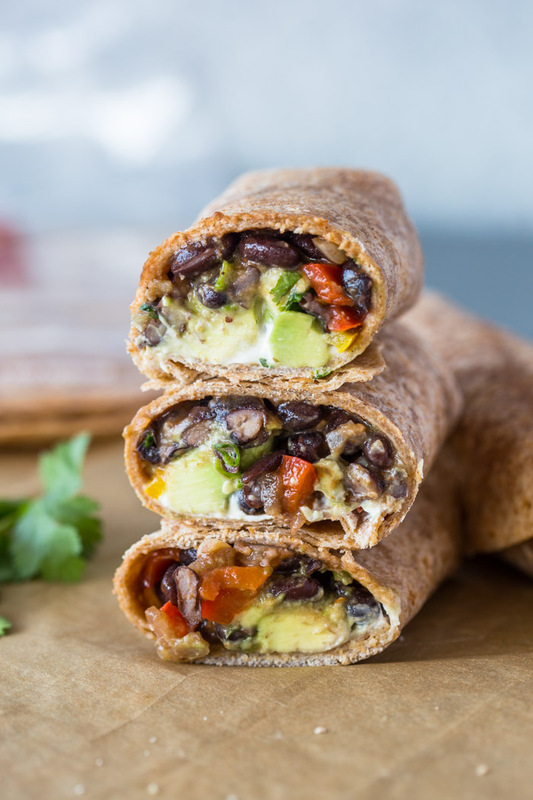 Healthy black bean and avocado salsa wraps. 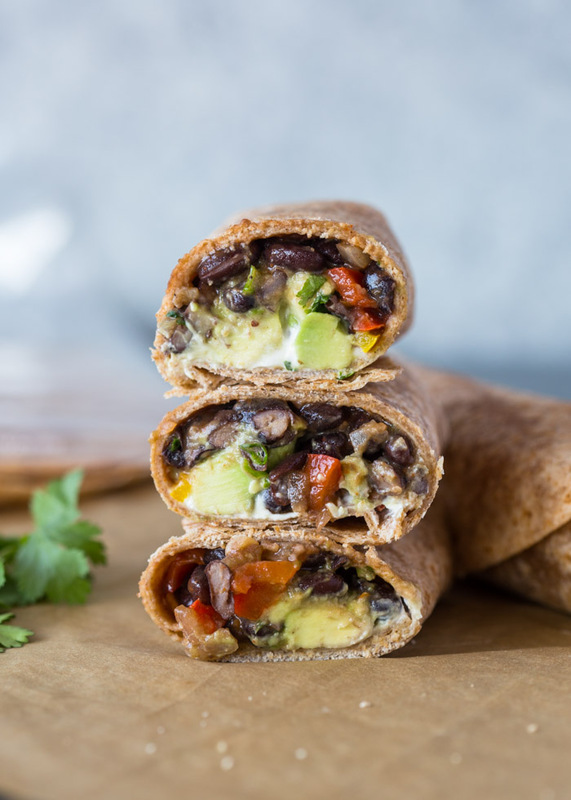 These quick and flavorful black bean and avocado wraps are tasty, filling and make a great meatless lunch or dinner! They can also be made vegan too! You honestly can not go wrong with avocado wraps. 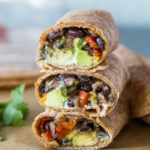 I’ve made a few avocado wraps over the past few years and these black bean and avocado wraps are up there with the rest. The black beans are cooked with onion, bell pepper, garlic and taco seasoning for 5 minutes. To go with the black beans is a zesty avocado and tomato salsa that is prepared by simply combining chopped avocado, tomato, cilantro, and salt & pepper. To assemble, simply top a fresh tortilla with the black bean mixture, a few tablespoons of the zesty + creamy avocado mixture and about a teaspoon of sour cream or yogurt (you can also use mayo or your favorite sauce). Surprisingly, these wraps store well in the fridge. The lime keeps the avocado from browning and if you don’t cut the wraps and cover each wrap with plastic wrap or place in a zip seal bag, the avocado should remain fresh and green. Heat oil in a large pan over medium/high heat. Add the onion, bell peppers and garlic. Cook for 2-3 minutes or until onion is lightly golden. Add the beans and taco seasoning. Cook for another 2-3 minutes. Remove from heat and cool for a few minutes before assembling. In a medium bowl, combine the avocado, tomato, cilantro, lime juice and a pinch of salt and pepper. To assemble, Lay a tortilla on a flat surface. Spread with a teaspoon of sour cream or mayo. Top with a few tablespoons of the black bean mixture and a few tablespoons of the avocado mixture. I haven’t tried freezing them and I don’t know how the avocado would hold up in the freezer but if you are going to freeze them I suggest coating the avocado in lemon or lime juice. So simple and QuiCK, so Great! I added some corn and Ate 5 mini tortillas in one sitting. Thank you! Great for lunch at work or college. I cheated and used Chipotle’stomato Salsa with the avocado’s. Thank you! !